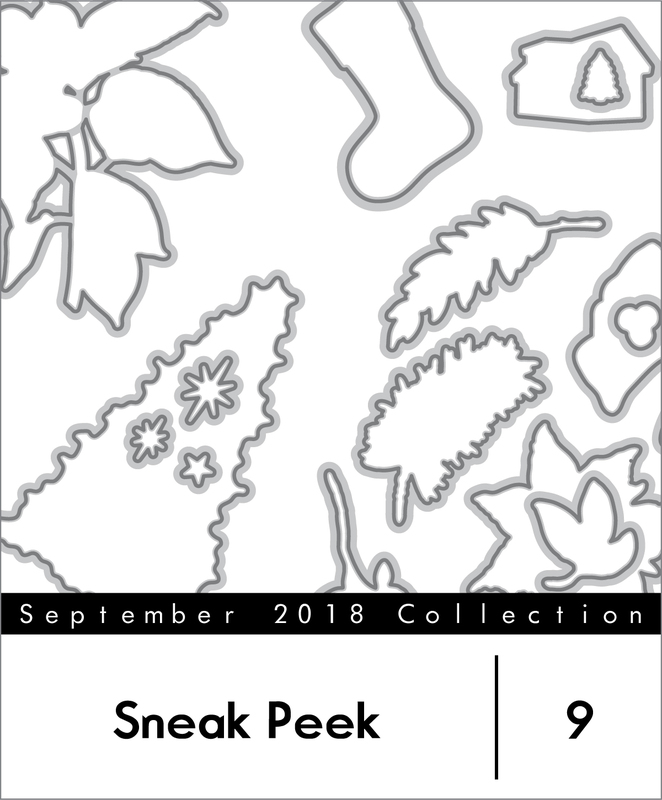 Welcome to the September 2018 Stamp and Die Release Sneak Peeks post! Bring the outside in with this beautifully layered branch laden with berries. The branch is amazingly detailed and is comprised of 8 layers to create leaves, branches, and the berries. This stamp set features a number of multi-layered elements which are great for making festive arrangements. 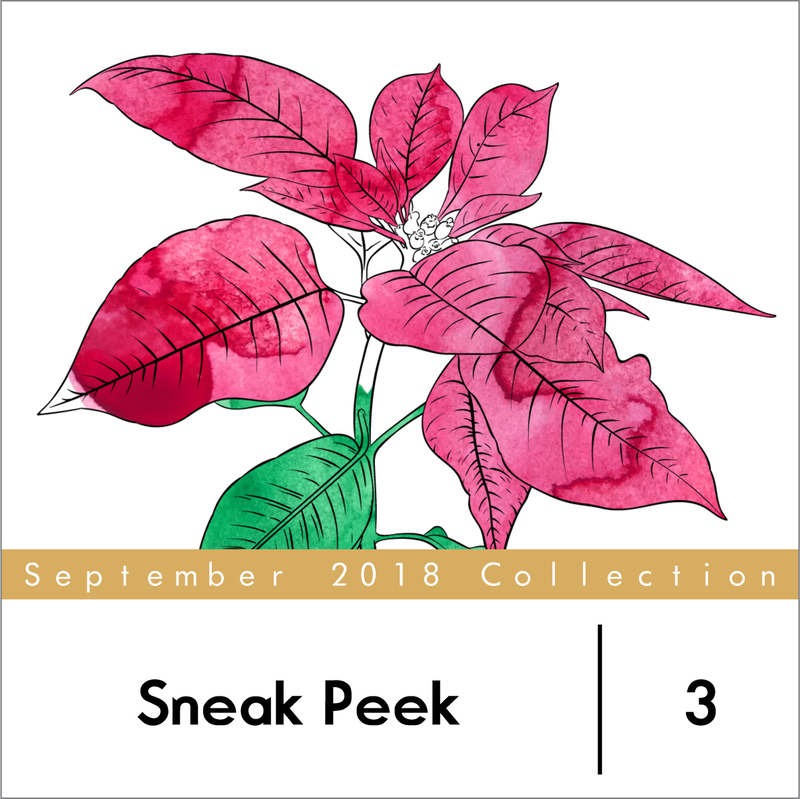 This stamp set features a beautiful hand-drawn Poinsettia with its branch and leaves. It is great for coloring with markers, pencils, watercolors or any other coloring media. Share your holiday blessings with this beautiful set. Some sentiments can be used year-round, allowing you to continue to spread your love and blessings into the new year. 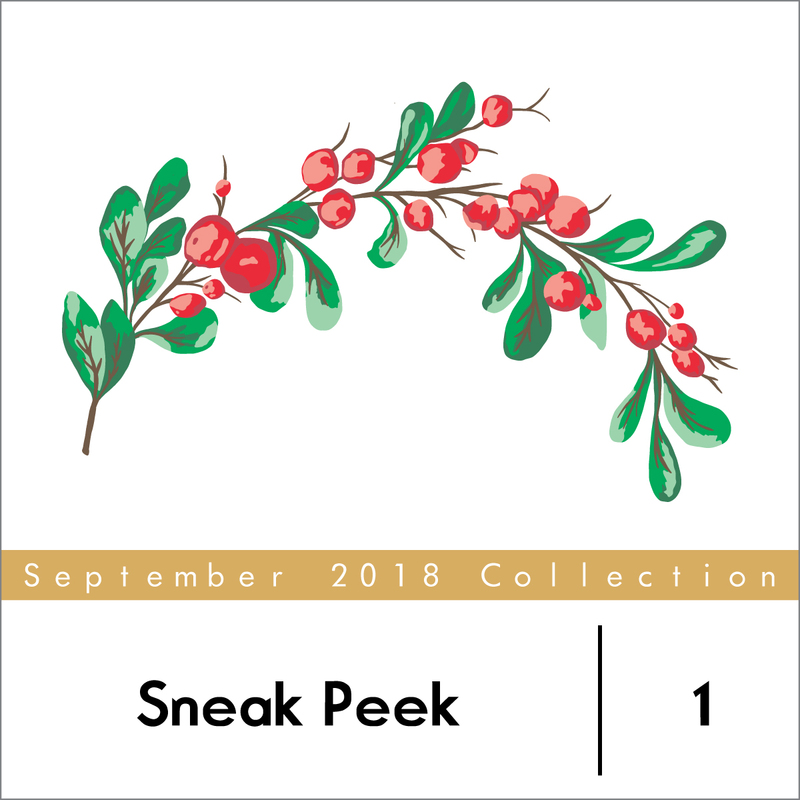 One mini stamp set includes a “Merry Christmas” sentiment in a gorgeous cursive font as well as berries and a leaf image which you can use as accents around the sentiment. Our other mini stamp set features a sweet house image which can be stamped in a variety of colors for endless possibilities! There is nothing more serene than looking up at the stars on a cold winter night. This set was designed to be used during the holiday season, however, the star border and the smaller elements can be used year-round. 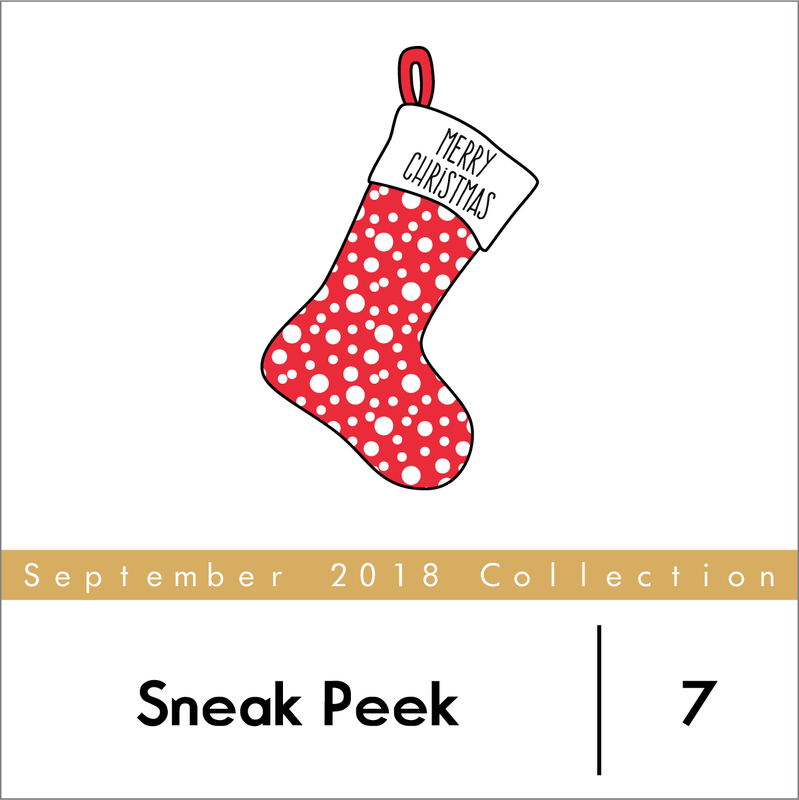 Create multi-step Christmas stockings with a variety of patterns for your holiday projects using this set! The sentiments in this set can be stamped in the stockings for added fun! This stamp set features two beautiful watercolor style skylines of Los Angeles and Hollywood. 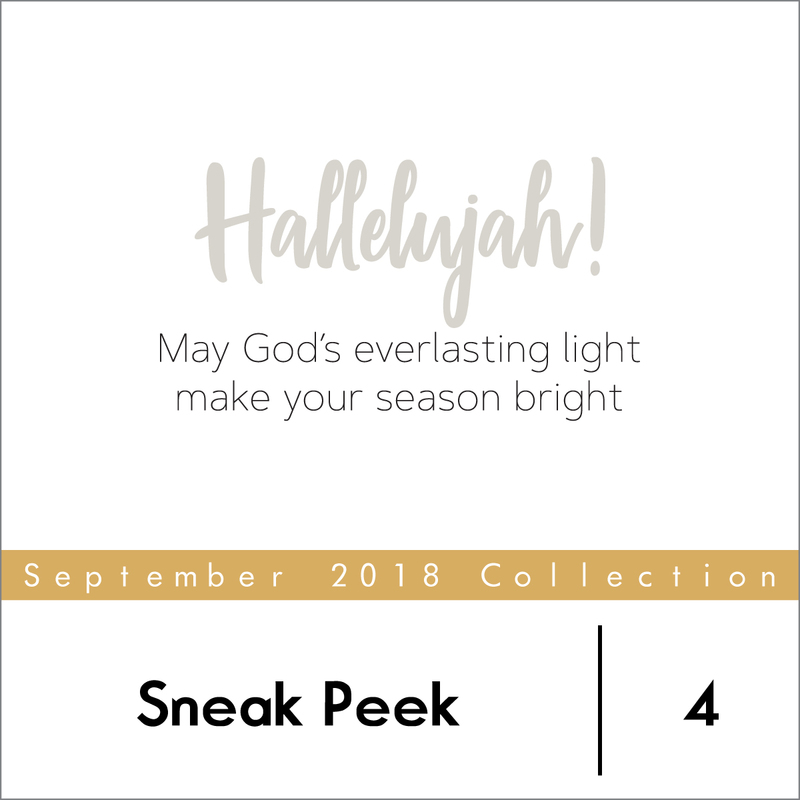 Whether you want to create a scrapbook page or a greeting card for a loved one, this stamp set is designed to once again make you fall in love with California skies. 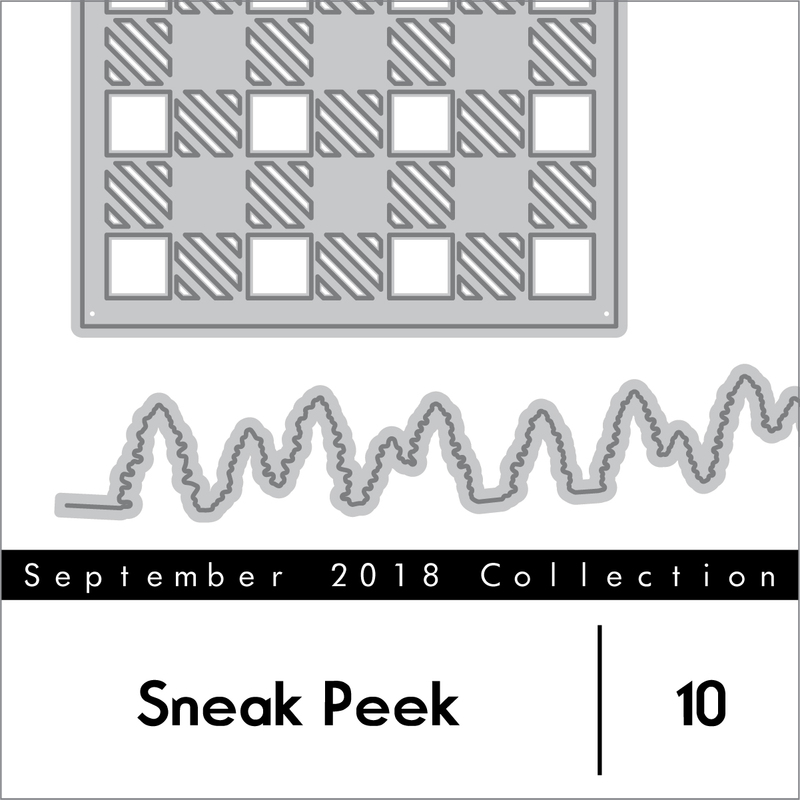 We are rounding out this month’s collection with two amazing stand-alone dies, and of course, we also have coordinating dies for the new stamp sets. 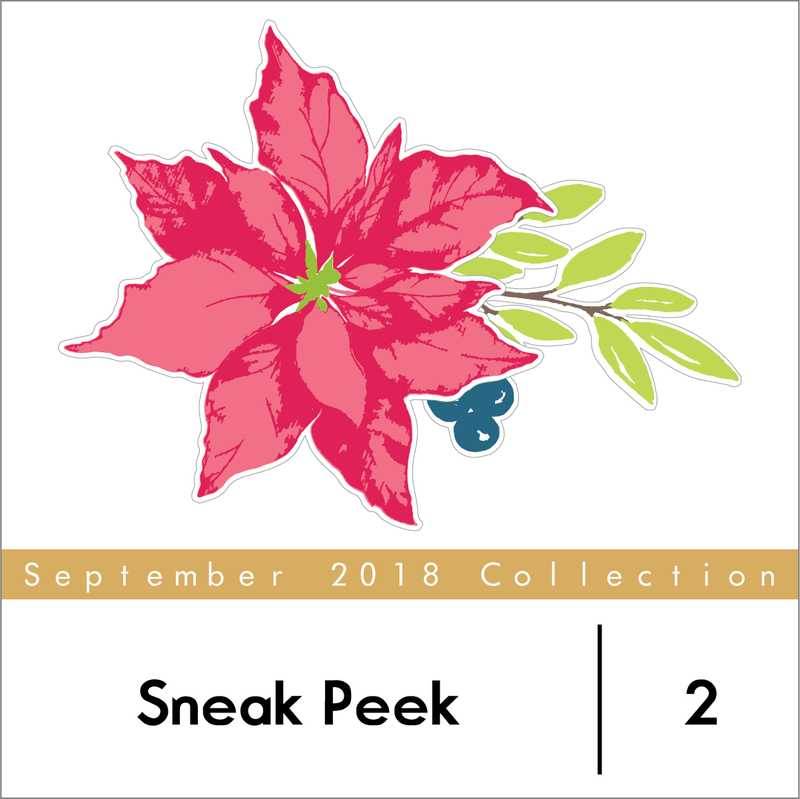 ***Our new stamps & dies will be available in our store on 09/12/2018 at 12 midnight EDT. Woo Hoo, its release time. I love these sneak peeks. Beautiful new poinsettia! Love the holly berry too. Looking forward to the reveal! Love 1 and 2 so far!